Some of the stations on the London Underground are quite modern, and combine functionality of the day with an aesthetic that will probably not age well as time goes by and things get dirty. However, station design from the 1800’s continues to look good to this day – as is demonstrated by the glass roof over a portion of the Circle Line’s platforms. Echo and I didn’t pay much heed to the splendor on display, however, we had photos to take – and then a train to catch as the District Line had joined us and given us many more locomotion options. Next stop we’d already captured previously, so we waved at it as we passed through and on to the following stop to continue collecting the rest of the Circle Line stations. 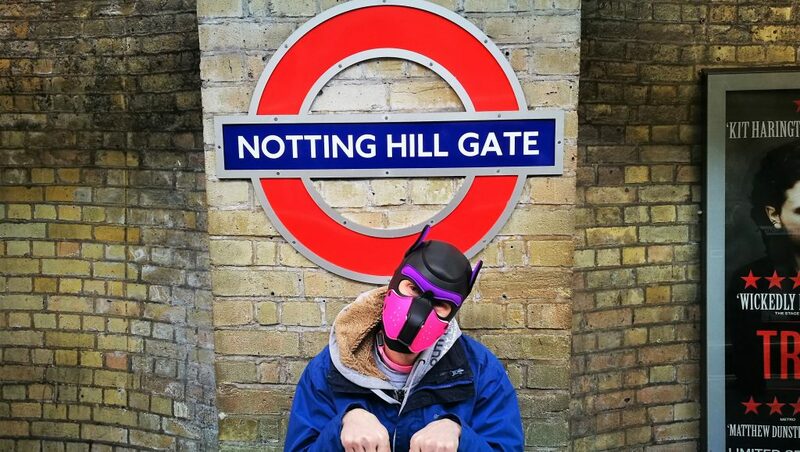 Echo ponders on adding a silent K to Notting Hill Gate (Underground) station’s name. This entry was posted in 2) London Underground, Central Line, Circle Line, District Line on January 23, 2019 by CondorBriarpup.